As part of a number of initiatives undertaken this year to enhance the stability and integrity of Canadian capital markets, the Investment Industry Regulatory Organization of Canada (IIROC) sought comments from capital markets stakeholders on factors impacting micro and small-cap issuers. With well over 300 publicly listed small-cap securities, the Canadian Securities Exchange (CSE) serves as an important bellwether for forces impacting this vital segment of the securities ecosystem. As such, the CSE provided its perspectives on a number of regulatory as well as operational items that could provide direction on improving capital formation for stakeholders in the micro and small-cap space. Below is the full text of the letter submitted to IIROC detailing the CSE’s comments. All submissions, when published, will be available on IIROC’s website. The Canadian Securities Exchange (the “CSE”) is pleased to submit its observations and recommendations in response to the Investment Industry Regulatory Organization of Canada’s (“IIROC”) request for proposals on “Market Structure Issues Affecting Small‐Cap Issuers”. Address the capital formation challenges faced by issuers and their advisors, and reduced participation rates from retail investors in initial finance transactions. The exempt market in Canada should be enhanced with measures similar to those now in force in the United States as a result of the implementation of Regulation A+ of the JOBS Act. Doing so would provide a bridge between the attempts to create a crowdfunding regime for very early stage capital raises and the traditional prospectus‐backed IPO market. The current exempt market, which provides the majority of small‐cap finance, is by its nature limited in scope in both the dollars that can be invested and the number of potential participants. The CSE believes that many of the market structure mechanisms proposed will not provide any long term relief to the problems identified, unless the buyer problem is addressed. Unless new classes of market participants are able to enter the small‐cap finance and trading space, we are concerned that technical changes to the trading rules will not bring about the anticipated benefits. In the second part of our submission, the CSE will provide its views on many of the issues raised by industry participants and cited by IIROC in the Request for Proposal. It bears repeating that Canada’s early stage public capital market is an important component of the country’s economic success. Entrepreneurs from every industry group have benefited from their ability to finance business development from the public markets at a lower capital cost than would be available from private sources. Where businesses in other countries have to rely on expensive and restrictive private sources of finance (e.g. bank debt, private equity, venture capital funds), Canadian companies have been able to raise billions of dollars at reasonable cost from public market investors. Canada’s investment dealers and marketplace operators have supported this primary capital formation process with fair, efficient and accessible secondary market trading services. Investors from all income brackets have historically been able to share in the growth of the country’s capital markets through their ability to buy and sell small‐cap stocks. The liquidity, and resulting price discovery efficiencies, that these investors contribute to the market has further supported the ability of companies to raise needed capital from the public markets. Unfortunately, the traditional primary and secondary market model for small‐cap finance in Canada has broken down. The days of an IIROC member investment dealer advising a company and assisting on the placement of its initial distribution of securities under an offering document, while supporting secondary market interest through the provision of research coverage and investment advice via a network of advisers are irretrievably past. The vast majority of funding raised by companies listed on the CSE and the TSX‐V now comes from the exempt market. Advisors at IIROC member investment dealers are increasingly less likely to recommend client participation in both primary and secondary market small-cap investment. Secondary market trading activity comes principally from retail investors through the discount brokerage networks. Dealers are committing less and less capital to market making and other proprietary secondary market trading activities. While we will leave it to the practitioners from the sell side to enumerate the reasons for the shift, we do not believe that any of these trends are positive for the Canadian capital markets. In current small‐cap finance, the principal source of exempt market funds is the accredited investor exemption. Covering a minute percentage of Canadian households (approximately 1 – 2%), accredited investors account for a major percentage of funds raised by CSE issuers. The CSE believes that to address the capital formation challenges faced by small‐cap issuers, access to the exempt market should be expanded. At the same time, the industry needs to collectively come to an agreement as to the role that new forms of investor engagement can and should play in the capital formation process. Many registrant firms, citing compliance concerns, will not permit their advisors to use social media to communicate with clients and a broader investor audience. Small‐cap issuer firms and their advisors are also reluctant to employ social media for similar reasons. Given that an entire generation of potential market participants consume news and information via social media sources, the industry is cutting itself off from the future. Accredited investors skew older than the population as a whole (which is itself aging rapidly), and ultimately represent a declining pool of market participants. Unless we can collectively engage a younger, less affluent, group of market participants, the public capital formation process is doomed to irrelevancy. There is also an important public policy reason for broadening participation rates in the small‐cap finance and trading markets. 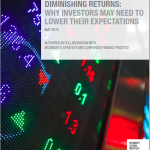 A report published by the McKinsey Global Institute on May 2, 2016, (Diminishing Returns: Why Investors May Need to Lower Their Expectations) suggests that investment returns in developed markets in North America and Europe are likely to be significantly lower in the coming 20 years than they have been in the preceding 30 years. The two principal reasons cited in the study are the prospects for lower overall growth in these economies and the lack of population increase. If this forecast is accurate, investors seeking higher than developed market returns will have look to investments in the small‐cap markets. If we continue to, effectively, limit participation in the small‐cap capital formation process to the accredited investors, we are denying the opportunity to access these investment opportunities to the vast majority of potential investors. This harms not just the investors themselves, but the companies looking to raise growth capital from the public markets. Harmonize the crowdfunding rules across Canada. The current crowdfunding regime in Canada is too complicated: the steps required to ensure a compliant national offering are extensive, and eat into the modest potential proceeds of the process. The likelihood of a company unintentionally breaching the guidelines in a particular province or territory is high. The fragmented rules also raise compliance costs for portal operators hoping to conduct business across multiple jurisdictions. Economies of scale are more difficult to achieve, raising capital costs for their clients. The United States, in contrast, has a set of rules in place under Regulation A of the JOBS Act that provides for a clear set of guidelines across all 50 states. Implement a new means of prospectus‐exempt financing modelled after Regulation A+ of the United States JOBS Act. Unless we extend participation in the exempt market beyond the accredited investor exemption, the small‐cap finance industry will fail to gain the engagement of a new generation of potential investors. The success of television shows like “Dragon’s Den” in Canada and “Shark Tank” in the United States suggests that there is an appetite for entrepreneurial stories that extends far beyond the small segment of population represented by the accredited investor class. Regulation A+ permits issuers to promote participation in their fundraising initiatives through a variety of non‐traditional means. Canadian regulators, investment dealers and advisors, and small‐cap issuers have to come to grips with appropriate uses of social media and other communications media to engage with the broader investor population. As an exchange, the CSE can provide guidance and specific training to its issuers in these opportunities, if the rules are well understood. If we are unable to engage a new generation of investors, whose numbers and potential investment resources are significantly larger than the few accredited investors relied on by the industry currently, then all of the technical measures designed to improve the operation of the small‐cap markets will prove irrelevant. While IIROC cannot alone implement any of these changes, the organization can be an important focal point for reform in assisting the industry in developing new means of engaging with the broader investing public. As indicated in the introduction, the CSE has a number of views and comments on the marketplace operation issues cited in the Request for Proposal. The CSE is sympathetic with issuers and their shareholders who believe that the current short sale rules, combined with the absence of buyer interest in many small‐cap stocks, provide a low risk opportunity for short sellers to profit. Allowing the short sale to create a new downtick, particularly in the case of sub‐10 cent stocks, results in a material decline in the market cap of the company. When the short position is covered, ideally (from the short’s perspective) at a still lower level, an even larger slice of the market cap of the company has disappeared. This is particularly frustrating for companies that are attempting to conduct a financing. The ability of companies to raise funds at greater than 5 cents per share (the minimum threshold for TSX‐V and CSE‐listing companies absent an exchange exemption) can be compromised by short selling pressure in the secondary market. The CSE is prepared to support rule changes that will place restraints on the ability of short sellers to create a downtick on the initial trade. We do not support, however, a re‐institution of the former rules that were enforced at the trading system level of the exchanges. Bringing back the former rule, which involved a significant amount of programming and testing, would take a lengthy period of time to institute. In our view, the rule should be that a declared short sale may only be entered when accompanied by the “passive only re‐price” tag. The tag will enforce the requirement that a short sale has to be booked; it may not cross the spread to execute. If an order crosses the spread to trade against the short sale order, the likelihood is that the new sale price will represent an uptick from the last traded price. All of the Canadian markets currently support the passive only re‐price tag; instituting the new rule would not be held up by a lengthy technical implementation process. We would also support the standard exemptions (for example, exchange appointed market makers should be able to sell short without restriction), as were present in the former short sale rules. At first blush, we do not believe that firms using the “short mark exempt” tag (“SME”) should be exempt from this requirement. In general, these firms are computer aided, proprietary, high frequency trading firms that are not generally active in the small‐cap markets. IIROC should examine whether firms are properly enforcing the short sale covering requirements. As a general rule, small‐cap stocks are not available for loans, nor are they margin eligible. For many stocks, there may be no assurance that a short position may be covered within the time limits required under UMIR. If firms are not enforcing the requirements properly, the economics of predatory short selling activity would improve to the detriment of the issuers, their shareholders and the broader market. We do not believe that modifying tick size for low priced stocks would have a material impact on liquidity or price continuity. The experience of the broader market when decimals were introduced suggests that overall liquidity would not change, but order size at each increment would decrease. Because more price levels would have to be accessed to fill orders, volatility would increase by reducing price continuity. Our experience for CSE‐listed stocks is that, in any event, the typical spread for the majority of small‐cap stocks is not at the minimum half‐cent or penny increment. Proponents of smaller tick size suggest that the measure would reduce the impact of short selling activity. In the CSE’s view, instituting the “passive only” requirement for short sales would have a more powerful impact on the identified problem. Proponents of larger tick size suggest that their plan would increase potential profits for market makers and other firms committing capital to trade a particular stock. The CSE suggests that IIROC and industry members study the results of the “Tick Pilot” in the process of being implemented in the United States before considering amendments to UMIR’s tick size provisions. Increasing board lot size is cited by a number of parties as a means of restricting short sale activity in small‐cap stocks. As described above, the CSE believes that the better measure is to prevent a short sale order from crossing the spread to execute the trade. Increasing the board lot size would have a significant negative consequence: many retail shareholders might find themselves holding an odd lot position in the stock. Odd lots receive no price protection in the secondary market, and, as a result, may trade at any price without violating UMIR or the national instruments. Execution quality for odd lots is a regular customer service issue for dealers: the CSE often deals with complaints from clients on the price that they received when trading an odd lot. The CSE has appointed odd lot market makers to address this concern, as odd lots orders are now automatically executed against the market makers book at the bid or the offer price. The fact remains, however, that handling customer odd lot orders effectively is a challenge for retail oriented investment dealers. Expanding the number of client odd lot orders would be harmful to the goal of increasing investor confidence in the fair and efficient operation of the small-cap markets. A number of industry participants have cited the advent of electronic trading as a major disruptor to the fair and efficient operation of the Canadian small‐cap markets. 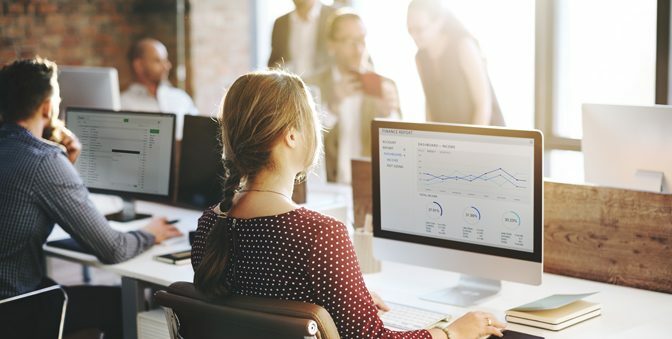 The CSE has supported research efforts by IIROC and other entities over the years aimed at identifying the impact of market participants who use computer driven strategies on the markets. From a CSE perspective, we have not been able to identify significant participation by these traders in the small‐cap names. We know these accounts from their activity in the highly liquid Canadian large‐cap stocks that the CSE posts alongside its listed companies. The CSE is in a position to say that these firms are not active in the CSE‐listed market. In general, the small‐cap market is simply not liquid enough to support strategies which effectively require the trading account to be flat at the end of the day. An area that has not been carefully studied to date is the impact of so‐called “day trader” activity on the operation of the small cap markets. Distinct from the high frequency trading firms, the day traders are generally individuals trading from their own account through a small number of firms established specifically for the purposes of supporting this kind of trading activity. Although these individuals may use computers to aid their trading, they do not rely on low latency strategies to achieve their trading goals. They also, unlike the high frequency traders, appear to be prepared to hold significant positions in a particular stock over a period of days. The CSE would welcome further study of the activities of these day traders, and encourages IIROC and the securities commissions to encourage this effort.